Young woman with fit body jumping and running against grey background. Female model in sportswear exercising outdoors. The concept of what it means to be healthy is constantly evolving. Every physical body is unique, with its own specific needs, there is almost a never one-size-fits-all treatment for any illness, condition, or issue. The field of medicine and what we consider to be healthy changes as we learn more through research and new discoveries, including the possibility that what we may have historically and traditionally practiced as a society for our health may not have been the most effective treatment or practice. Many patients, physicians, and medical researchers and professionals are taking the approach of finding integrative methods and treatments that simply work. Whether western or eastern, traditional or integrative, in the exam room or from a distance, the important thing is that it successfully treats the patient. Today we are exploring five different methods and practices that are quickly gaining practice and popularity. These specific innovations target conditions and issues that have become common: an increasing incidence of depression or a growing need to communicate with the medical profession from a distance. On a lifelong journey toward health and wellness, we could do worse than to take a look at the most recent developments and see whether they have some relevance to us, or to our loved ones. Our health is, after all, up to us. Sleep apnea affects more than 21 million Americans. You probably have known at least one person in your life who suffers from it and possibly uses a C.P.A.P. machine to help them breathe through the night. When used correctly, C.P.A.P.’s are usually effective, but there those for whom it hasn’t been effective. A potential response to the risks of the C.P.A.P., and a hopeful future for those who suffer from sleep apnea, is a revolutionary breakthrough called neurostimulation. While neurostimulation has been used to treat other medical conditions, such as Parkinson’s, for those who suffer with sleep apnea it would be used in the form of an implant surgically placed in a patient. The implant itself measures and recognizes breathing patterns during the patient’s sleep and uses stimulation to keep the patient’s airways open. If it sounds similar to a pacemaker, that’s because it is! Neurostimulation keeps breathing regulated, just like a pacemaker helps regulate a person’s heartbeat. The specific device that’s been formulated is controlled by a remote control. The user simply has to turn it on with a remote before they go to sleep, and they can turn it off when they wake up in the morning. While the implant is turned on and working, a hypoglossal nerve stimulation works to keep your tongue moving forward, creating an open airway while you sleep. Consistent data shows that this can be a proven solution for someone with sleep apnea who struggles with the use of a C.P.A.P machine. The procedure for the implant is a simple outpatient procedure. Dr. Kevin Martinolich, Division Chief of Sleep Medicine at UT Sleep Disorders Center, says that “It could be beneficial to the right patient, one who is not severely overweight, who has been evaluated with an endoscopy, who has an airway collapsing in a particular way, and for whom other treatments have failed.” It is important to consider all of this criteria before making the decision to pursue the neurostimulation implant, as it is an expensive option. However, peace of mind and true rest when you sleep is priceless. With the success rate and testimonies of these neurostimulation devices, and the high number of people who battle sleep apnea, it’s an investment well worth making. If you or someone you love suffers from sleep apnea and you think that neurostimulation could be the best option for them, you can check if you qualify for the implant at inspiresleep.com. If you find that you do qualify for the procedure, you can search for a doctor near you that offers it as a treatment, and also read more about coverage options and financing. There are many conditions that people suffer from every day that target your body’s ability to function due to chronic fatigue, inflammation, and pain. While chronic symptoms like these can be hard and frustrating to manage through medication, there has recently been a new wave of efforts in finding an alternative therapy. Pulsed electromagnetic field (PEMF) therapy targets the issues in question through magnets and cellular repair. PEMF therapy was first registered with the FDA as a way to help heal fractures. Since then, PEMF therapy has been used for that exact purpose by both medical professionals and veterinarians (specifically in equine care). Currently it is being used as a treatment for far more than just bone repair, addressing such ailments as anxiety, IBS, Parkinson’s, arthritis, and varicose veins. Cellular repair and PEMF therapy may sound too good to be true, but many who suffer from chronic pain have found it to be helpful. PEMF therapy works by emitting targeted Burts of low-level electromagnetic radiation. This can be done throughout your body through the use of a mat you can lay on top of, or PEMF therapy can target sources of pain through coils hidden inside of tube loops that can be put on different parts of the body. The folks at Knoxville Reflexology Group, Inc. take PEMF therapy one step further and have coupled it with their therapeutic reflexology services. The two therapies combine to provide an intense way to stimulate circulation, relieve tension, and provide relief. Wagner reassures that “this is very safe, very effective. I use it for all of my autoimmune clients and cancer patients… We [Knoxville Reflexology Group, Inc.] specialize in pain relief and detoxification.” These PEMF therapy appointments often are done in either 15-minute or 30-minute appointments. Because of the EMFs pulsing into the body, it can be quite a lot for some who have more severe symptoms or illnesses. For those who might physically be more sensitive, the 15-minute session is recommended, whereas the 30-minute session is often used by athletes or those who are typically active. If you think PEMF therapy might be an option for you, contact Knoxville Reflexology Group, Inc. by visiting their website at knoxvillereflexology.com where they have a comprehensive menu of services they provide, details and information about the various therapies they provide. Intermittent fasting. This has been a buzzword topic in health and wellness conversations a lot lately. I know I’ve heard about it from many friends and family members who are trying it. Intermittent fasting itself is essentially the concept that, like our natural sleeping cycle, our bodies should adhere to a certain cycle for eating at specific times in order to get maximum nutritional benefit. Lee Murphy, a Nutritionist with the University of Tennessee, explains: “The basic idea of this type of eating plan is to allow cellular insulin levels to go down far enough and for a long enough period of time that you burn stored fat.” The way that people go about intermittent fasting can look different, even though the basic idea is the same. 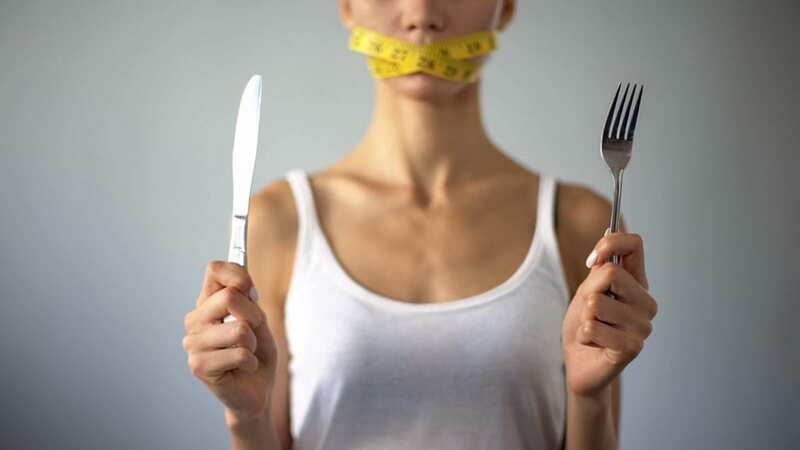 There are three different types of intermittent fasting: whole-day fasting, alternate-day fasting, and time-restricted fasting. “Initial human studies that have compared fasting every other day to eating less every day showed that both worked about equally for weight loss, though people struggled with the fasting day,” continues Murphy. For more information on how intermittent fasting might help your nutritional journey, or for other potential options, you can find some reputable research online. However, at the end of the day, the best option is to consult with a professional nutritionist or dietician when making these decisions. Ketamine isn’t a stranger in the medical field. This drug has been used commonly as a a sedative since it was approved by the FDA in 1970. And while it’s still dependable in the hospital setting as a sedative or surgical anesthesia, more recent research has been done to explore how it might help in treating mental health issues. Research done by Yale University shows that low doses of ketamine in intervals can successfully help treat depression. Experts at Yale have claimed that this is one of the most important discoveries for the battle against depression. To better understand how exactly ketamine works, and why it might help someone with depression, we consulted the experts at Knoxville Revitalist Clinic. Jennifer Hultz and Kathryn Walker, both Nurse Anesthetists at Revitalist Clinic, explain that “Ketamine infusions allow the brain to desensitize itself, and help patients to focus on the root cause of their condition… Patients will often get a sense of a ‘reboot’ of their brain. The effect of ketamine is rapid, with patients noting improvement often with their first infusion.” Because of how it works with the human body, ketamine can be used to treat more than just depression. Studies have shown it can be helpful to treat anxiety, PTSD, migraines, and more. Ketamine treatments are administered in conjunction with a patient’s own mental health providers, and/or primary care providers. Often times, during ketamine treatments, there is even a licensed counselor present in case they are needed. Hultz and Walker also emphasize the importance of the treatment being given intravenously. It’s been proven to be the best and most effective way of administering the drug to ensure 100% absorption by the body. While recent studies are promising in the treatment of depression, ketamine may not be the right treatment for everyone. Hultz and Walker explain that “persons with ongoing addiction to or misuse of drugs or alcohol, women who are pregnant or breastfeeding, persons suffering from uncontrolled hypertension, raised intracranial or intraocular pressure, or a history of a prior adverse reaction to ketamine” are NOT good candidates for ketamine treatments. In order to ensure that you are a good candidate, an initial patient consultation, to discuss the issues you might be experiencing and the specific mechanics of ketamine therapy, is a mandatory step before seeking treatment. If you feel like ketamine treatments might be a good option for you or a loved one, Hultz and Walker suggest that doing some online research might help educate you on the treatment, as long as the information comes from a reputable source. However, they strongly urge you to take advantage of a free consultation. You can visit them at revitalistclinic.com. Our lives aren’t slowing down or getting less busy. I know I have a bad habit of simply going and going until I can’t go anymore, and usually the only thing that truly knocks me down is when I’m sick. 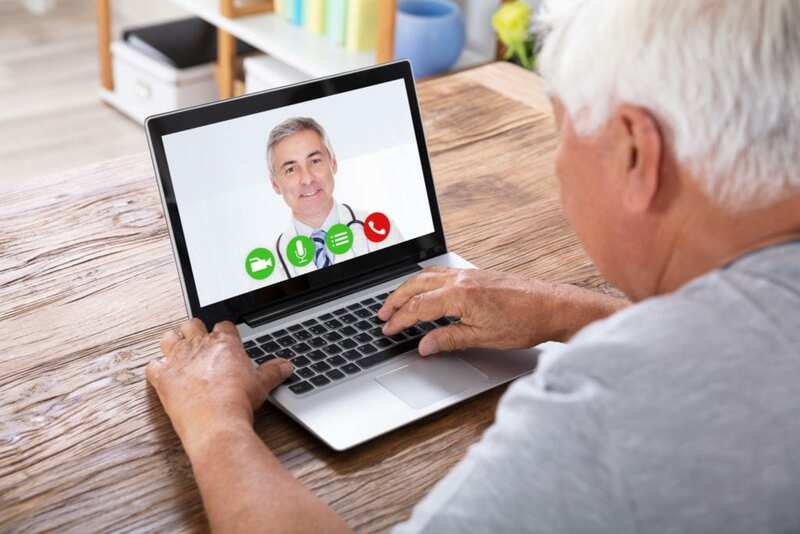 While there’s a walk-in clinic or two that I have used in the past, technology and the world of medicine have partnered up in the last few years to offer an even more convenient option for our busy lives: distance health. The ability to consult the nation’s, maybe even the world’s, best expert on a serious health concern would save many traveling expenses to get to where these doctors practice daily. Schaffer, Rasmussen, and Faiman agree that “removing the geographic barriers to [health]care can provide more efficient, timelier, and more optimal outcomes while also leading to significant cost savings.” Technology has revolutionized every other major part of our world. Retail and banking will never be the same again with the changes smartphones have ushered into our lives. Why not healthcare too? While not every hospital or medical provider has adopted a distance health service, there are studies that show those who have adopted it have been able to lower their annual death rate. I’ve been able to appreciate distance health technological services to an extent. In the past I have successfully been treated for the flu, a sinus infection, and more minor illnesses through a service I subscribe to where I can speak to a licensed doctor over the phone. I’ve been fortunate enough to speak to the same doctor almost every time, and if I ever need a prescription, they have the power to call that in as well. Technology is not going to begin to slow down any time soon. As more and more technological advances are made in areas of our lives that are not crucial, the idea that the medical field is catching up to the concept is hopeful and encouraging. More healthcare available to more people in more areas at more times sounds like a solution many have wanted and needed for quite some time. When she isn’t working as Visual Coordinator for Young-Williams Animal Center, Hannah is dreaming up a seemingly endless plethora of new ideas and adventures. If she’s not thinking up a new way she could make apple pie even better than it already is, she can be found perched near her cat reading one of her many favorite books, trying her best to write a new one, or watching the same sitcoms on Netflix over and over again. Hannah also enjoys trekking to the mountains in Thoreauvian fashion from time to time—with her camera, favorite people, and no agenda in tow.